I’m a big fan of Maelstrom missions, and the use of Tactical Objectives generally. Games using them are, in my experience, considerably more dynamic and less likely to devolve into “Operation Table the Other Army”. When you have two armies that aren’t particularly well balanced against each other, they keep the other player in the game and fighting longer. 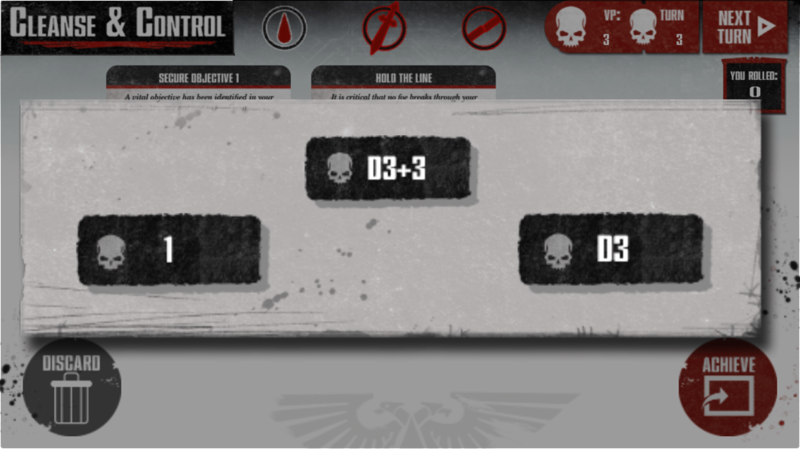 So I was definitely interested when I saw that there was a Tactical Objectives app released for both Android and iOS. Coming in at $6.99, it’s a little bit pricey, compared to day the Assault Dice app. What you get for that is the basic app, and two decks of cards – the generic set, and a set of the Cityfight cards that came out in White Dwarf (their inclusion was a nice touch). Additional packs of cards are available, for a fairly steep $3.99 a piece. That is, admittedly, considerably cheaper than the actual physical cards, especially for those factions that are no longer available. But it still feels pricey. You’re presented with an array of available decks – annoying, the app does not seem to sort by “Purchased First”, so you have to scroll through a whole bunch of unavailable ones to get to ones you’ve bought. As a whole? It represents the flow of a standard Maelstrom game very well. Which brings me to my first problem with it – in so fully and faithfully representing the standard Maelstrom game, the app is fairly inflexible. You cannot, for example, access the deck – the app draws for you. The extremely common house rule of “Discard a card if it’s literally impossible” (i.e. destroying buildings, Harness the Warp vs. Necrons, etc.) is, as far as I can manage it, impossible to implement. The same is true of custom scenarios, new missions in White Dwarf, etc. I can’t really say that, with this app, I’d decide not to buy cards just in case – which defeats the purpose of the app. The second, which seems silly given it’s a review of a mobile app, is skepticism about a digital app at all. 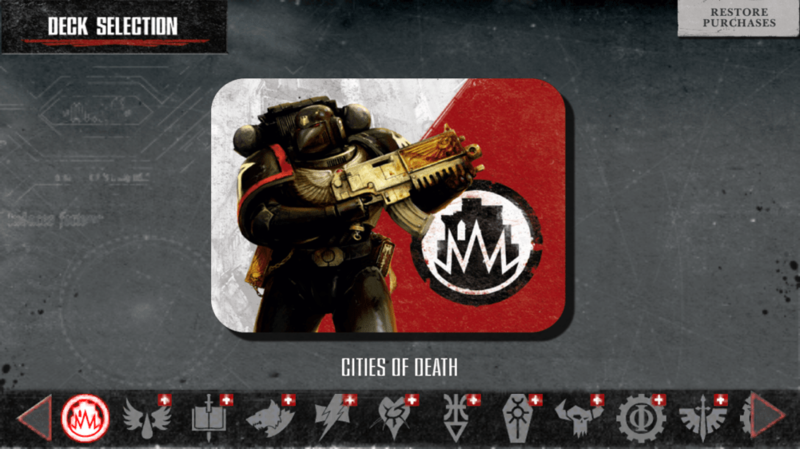 Games Workshop is supporting putting out a huge number of digital tools. 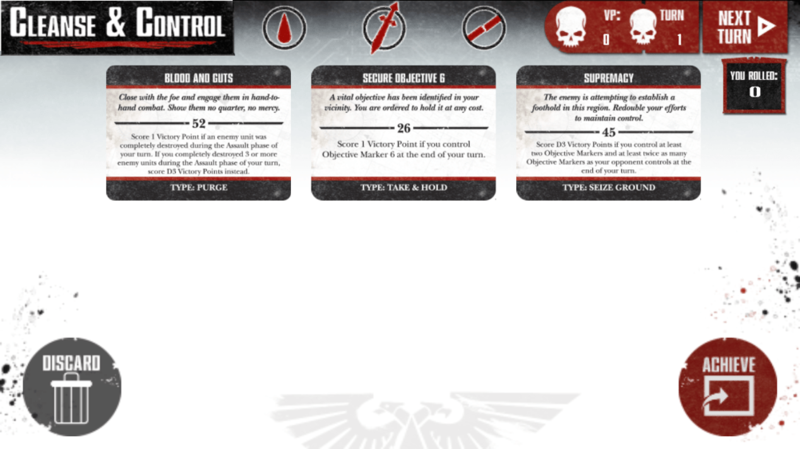 Dice rollers, electronic versions of the main rulebook, electronic versions of your favorite Codex, and now tactical objective cards.That’s a lot of things on one screen. With no room to spread out. And a single, catastrophic point of failure (your phone/tablet’s battery). I’m not convinced that switching back and forth between all of those things is actually faster or more convenient. 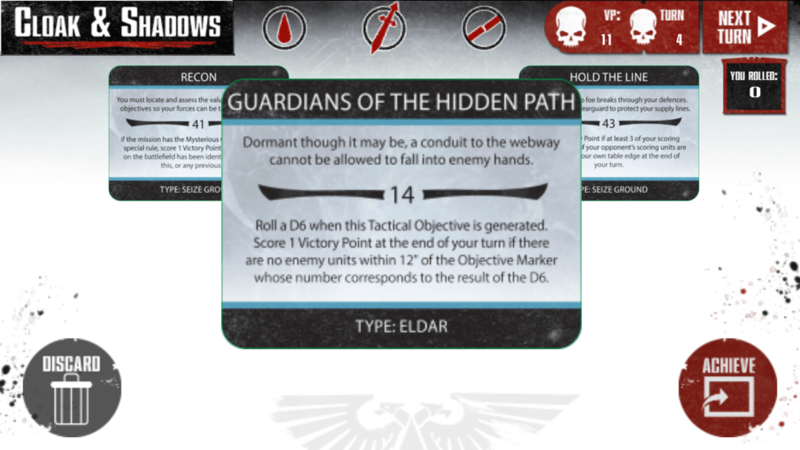 That being said, if a fully or partially electronic gaming setup is up your alley, the app does a decent, if inflexible job, of representing tactical objective cards. Overall Rating: 5/10. 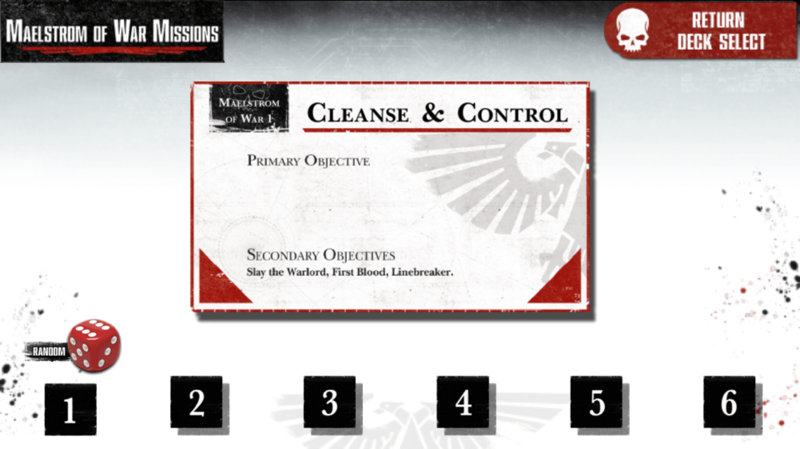 A solid electronic representation of tactical objective cards, but lacking flexibility and a solid use-case, and with steep in-app purchase pricing.